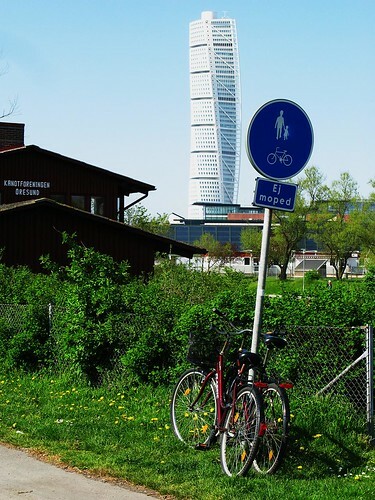 Bike path by the sea, with the famous Turning Torso building in the background. 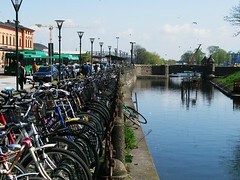 Malmö is Sweden's third-largest city and one with a bike culture to be proud of. Brand spanking new bike traffic lights in the former docklands area, now a posh residential area and seaside retreat for the citygoers. 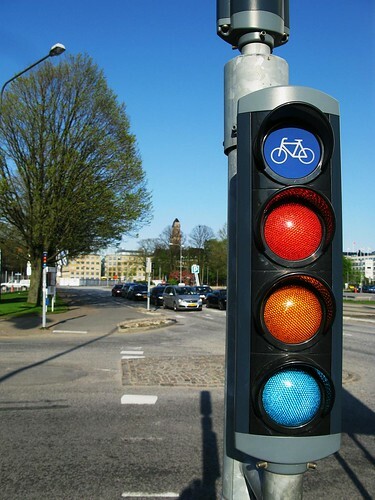 Nothing quite as lovely as a new traffic light for bikes to accompany a sophisticated system of segregated bike lanes. 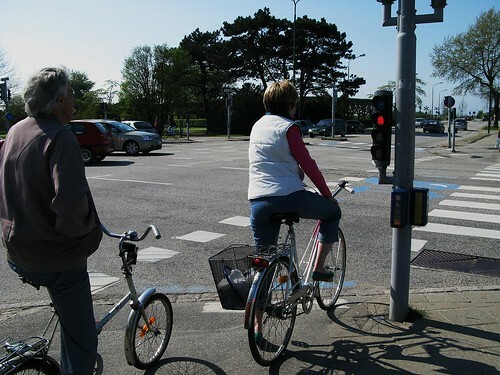 Cyclists waiting on their segregated bike lane for the bike traffic lights to change to green. Universal sight in Europe and Japan. 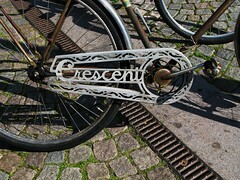 Bike parking outside the Central Station. 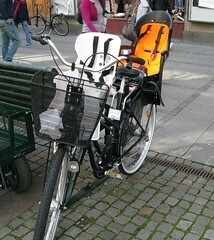 Another universal sight in Northern Europe, from Stockholm to Berne, Berlin to Amsterdam. 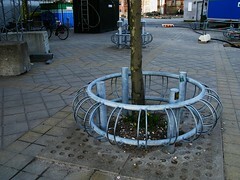 Classic bike racks embracing a tree.